Did you know, each week the NDIA publishes a news item called the Weekly Q and A? Understandably, within the community and across Australia there are a lot of questions, a lot of ambiguity and a lot of misinterpretations. There is a lot of information out there and a lot of information individuals need to consume. The NDIA is assisting to alleviate some of that individual burden, and if you have a question you can ask that question to the NDIA. You can do this via their social media channels, their websites and through the contact centre. 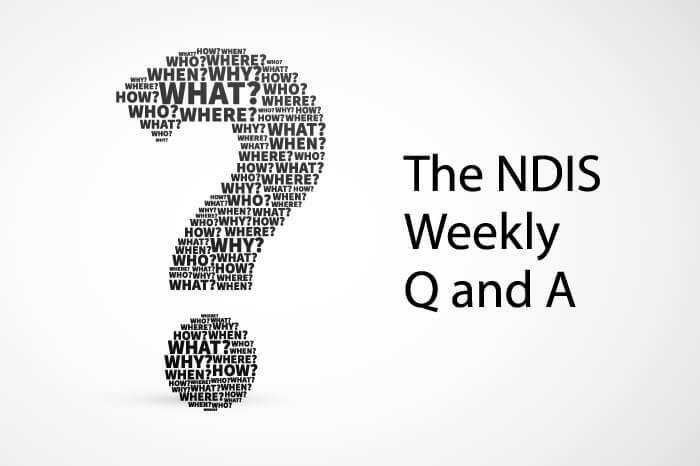 Answers to your questions get incorporated into relevant pages on their website www.ndis.gov.au and they are also published in a news item called the Weekly Q and A. You can also find collection of their past Weekly Q and A questions, organised by theme.